TRIPL is a electric cargo scooter made by a company from Denmark in a partnership with the German electric scooter manufacturer Govecs. 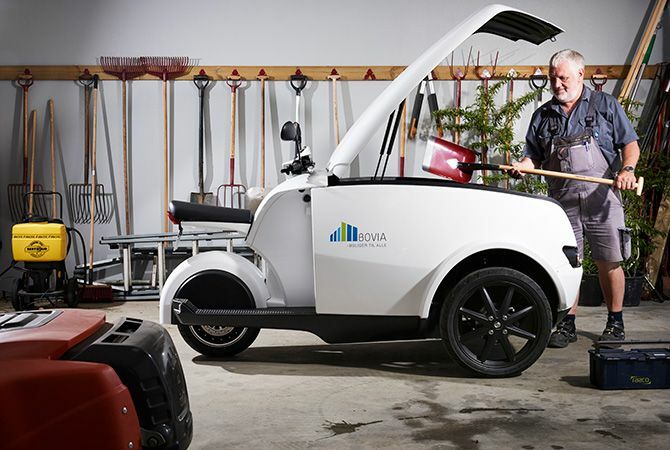 The scooter is a highly robust vehicle with a unique design that enables the scooter to be fast, agile and adroit in cities. 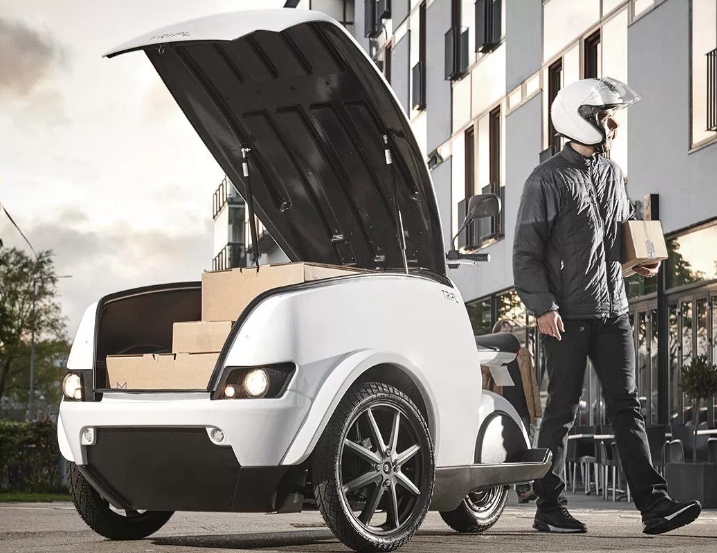 The vehicle’s high degree of accessibility means that it can help to relieve traffic congestion in major cities. 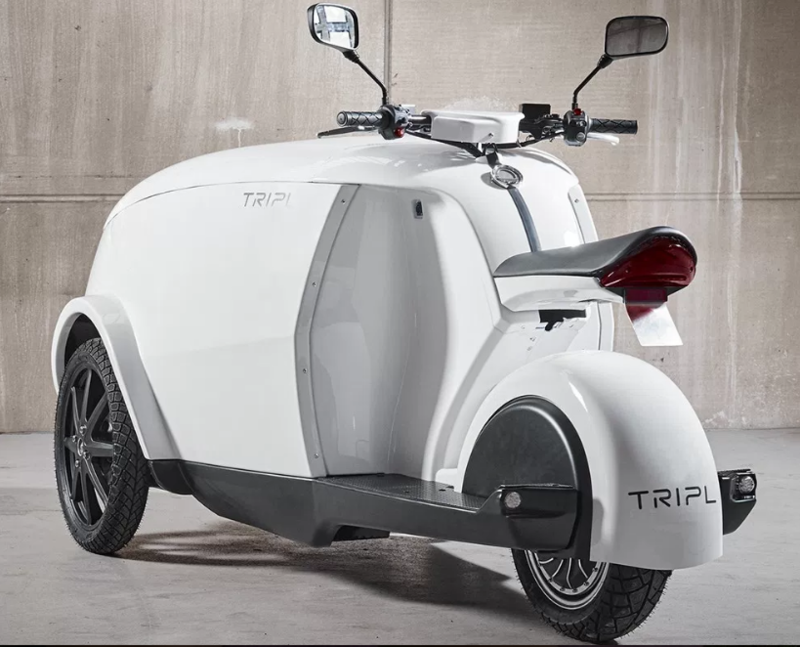 The TRIPL scooter features a spacious cargo hold that can accommodate big packages. 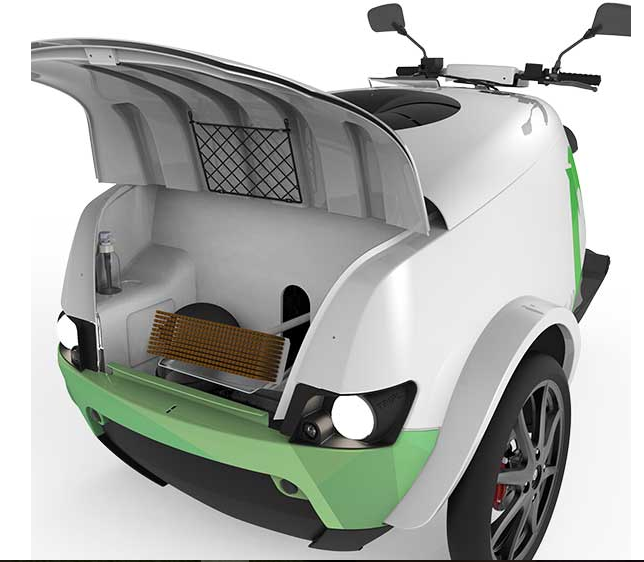 The flexible cargo module can be customized and configured to your exact specifications. 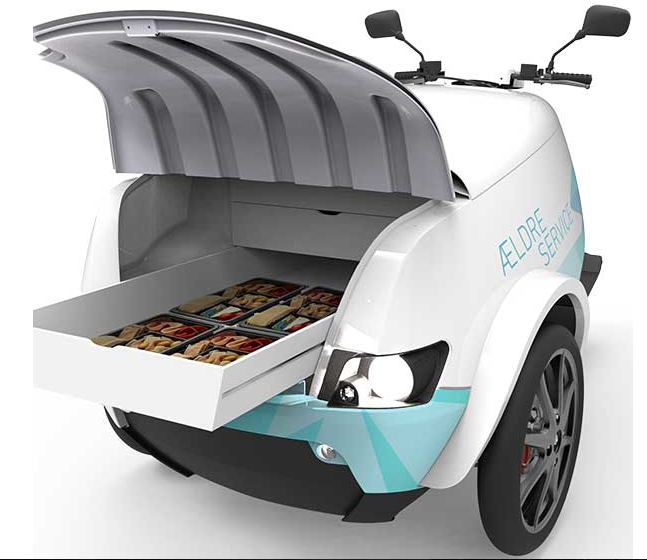 It can be setup with a heating, cooling or freezer module for food delivery purposes. There are also modules for waste collection or a toolbox compartment. 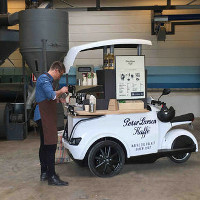 There is even a module for a mobile coffee-bar. The shell of the scooter is made to be easy to handle for advertising purposes. 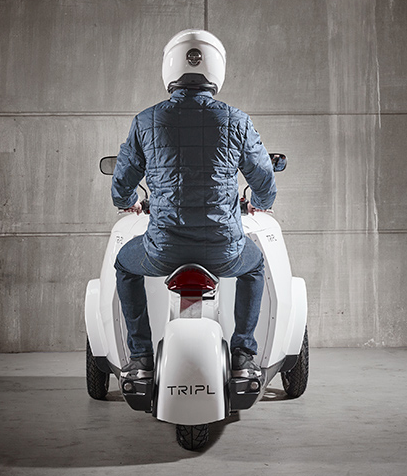 The TRIPL is manufactured entirely from high-quality components. The batteries are supplied by SAMSUNG SDI and produced to uncompromising standards. TRIPL’s battery is available in three different sizes. 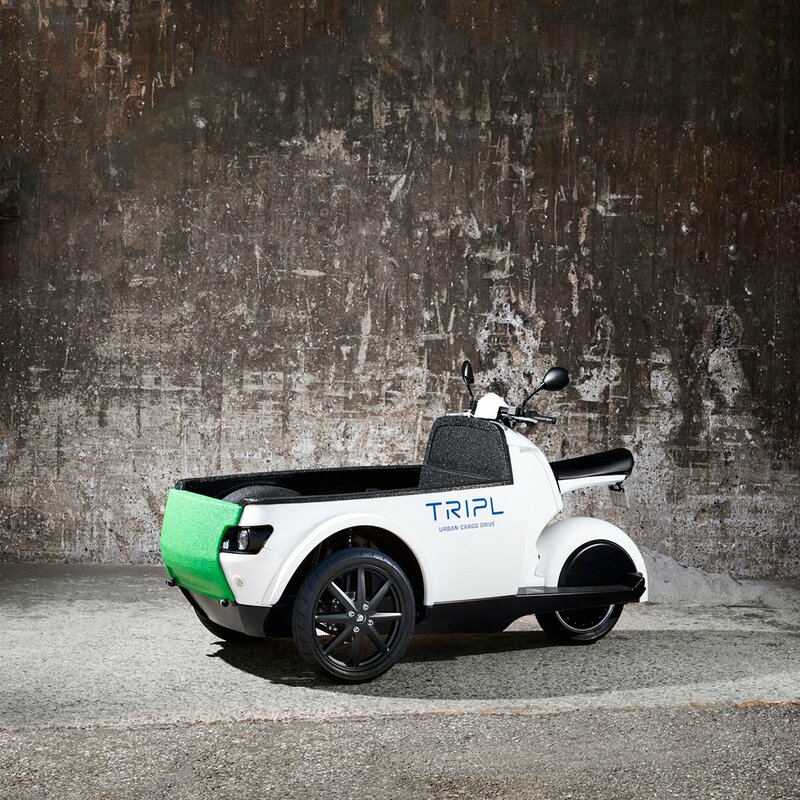 With an 8.0 kWh lithium-ion battery, TRIPL can drive up to 100 km. 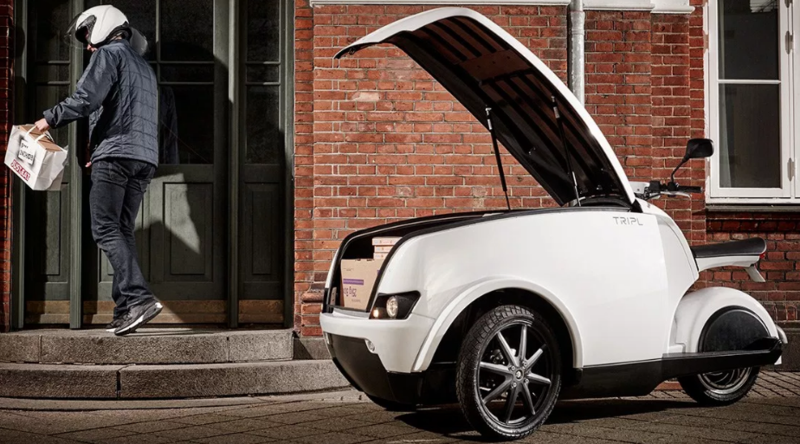 The 8.0 kWh battery takes 8 hours to fully charge using a standard wall socket charger. A super fast charger that can charge the battery in 4.5 hours is also available. 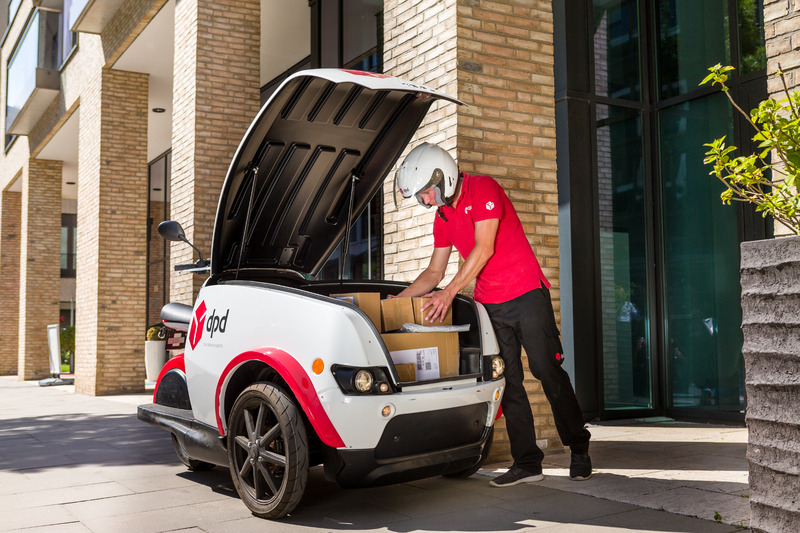 The battery has a long service life and even after 1,500 charges or approximately five years’ use, it will still deliver 80% of full capacity. A Nordic Battery Package is available to enabling the battery to be charged at temperatures down to -20° C.